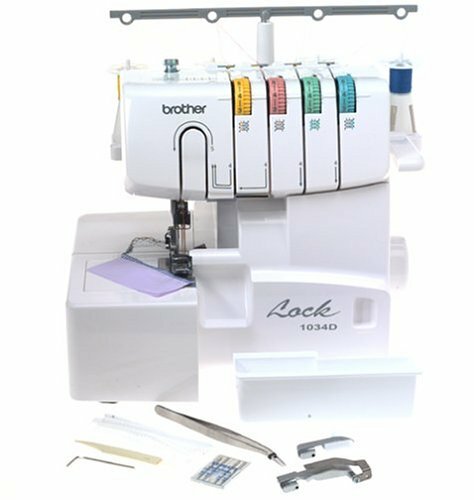 Review of Brother 1034D Serger Machine - What Can it do? The Brother 1034D Serger sewing machine is a high-performance and dependable equipment to have when you want professional-looking finishing on the edges of fabrics, whether it’s a hem stitching or a decorative, fabulous flair. 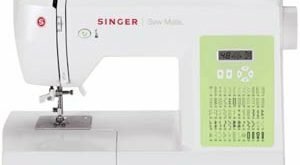 Why choose the Brother 1034D Serger Sewing Machine? You’ll want this Brother 1034D serger because it helps expand your creativity. With over 20 stitch functions and interchangeable specialty feeds, you can create a wide range of decorative stitching on fabric and garments. The accompanying manual also can help you build your own collection of gorgeous stitches. You wouldn’t miss out on this Brother serger because it’s a big time-saver. First of all, it’s easy to learn and use, so you get stitching and focus on your creative side as soon as possible. Secondly, the color-coded threading system helps you change threads and make adjustments quickly and easily. Third, many features are made to easily snap-on or slide-out such as the presser feeds and the free arm. 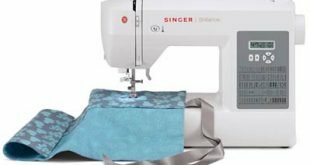 As previously mentioned, this 3-4 thread serger has a built-in 22 stitch functions that open a wide range of creative ideas for your sewing needs. 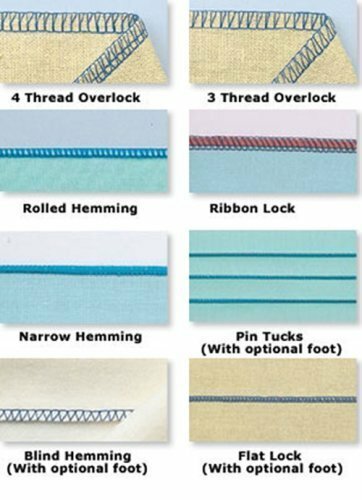 You can choose from among the ribbon lock, rolled hem, narrow hem and 4-thread or 3-thread stitches. On top of these, the machine features an interchangeable, easy snap-on accessory presser feet. With a differential speed ranging from 0.7 to 2.0 millimeters that ensures professional, high quality stitching, your creativity is limitless on a wide range of fabric — even the stretchy and thin ones. The serger can generate as many as 1,300 stitches in a minute. The length of stitches varies depending on the stitch functions you choose. The stitch width can be conveniently adjusted through a dial control from 5 millimeters to 7 millimeters. The machine features a removable free arm, which can be conveniently slid off to have a convenient working surface for serging sleeves and other cylindrical components. Other features worthy of highlighting are the easy threading system using color-coded and numbered loopers and the equipment’s capability of using standard sewing machine needles. Who should buy Brother 1034D Serger? Anybody who needs to finish hems, edges as well as create decorative edges and ruffles will love to have this Brother serger. Dressmakers, tailors, seamstresses and other skilled individuals in the same business can enjoy great benefits when investing on this machine because it can cater to a wide array of fabric for formal wear and other apparel. 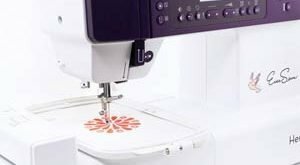 Makers of bridal wear will also find this serger delightful, as it can be a great tool for creating spaghetti straps, scarf-edge rolled hem and flowers made from fabrics. The machine can also be helpful to the enthusiasts of home decorating as well as of arts and crafts because the machine can do soft gathering or shirring stitch for curtains or stitch lace on fabric edges for a decorative piece. It is easy to learn and use, which makes it perfect for beginners. This machine is not recommended for use in countries that do not support 120V AC, even if a voltage adapter is in use. Although this can be used for sewing seams, this serger shouldn’t be used as a complete replacement of standard sewing machine.